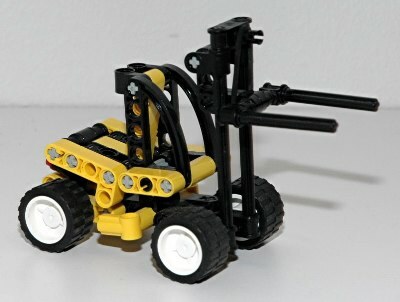 There were 5 new Technic sets in 2003 in addition to one re-release (the third release of the pneumatic crane truck) and a final Star Wars model. 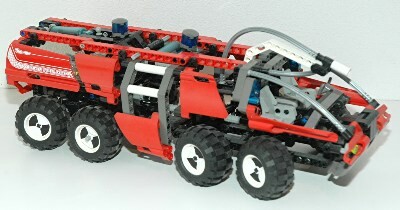 The Star Wars model was not actually labeled as Technic, but is made entirely of Technic parts so was included here. The investment in 5 new models as well as a number of new parts allayed fears that Technic was no longer of interest to the company. With the exception of the crane which is actually a model from a prior year, this year saw the genesis of the first fully studless models. 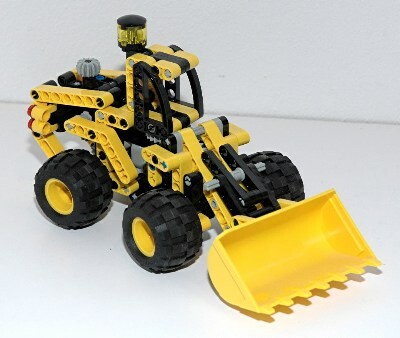 The new models this year had no traditional studded bricks whatsoever, and this would be the baseline for all future Technic development from this time onward. The studless system offered a new type of building experience. While traditional models are built from the bottom up, studless models are built from the inside out. This makes attaching parts in many different directions much easier. 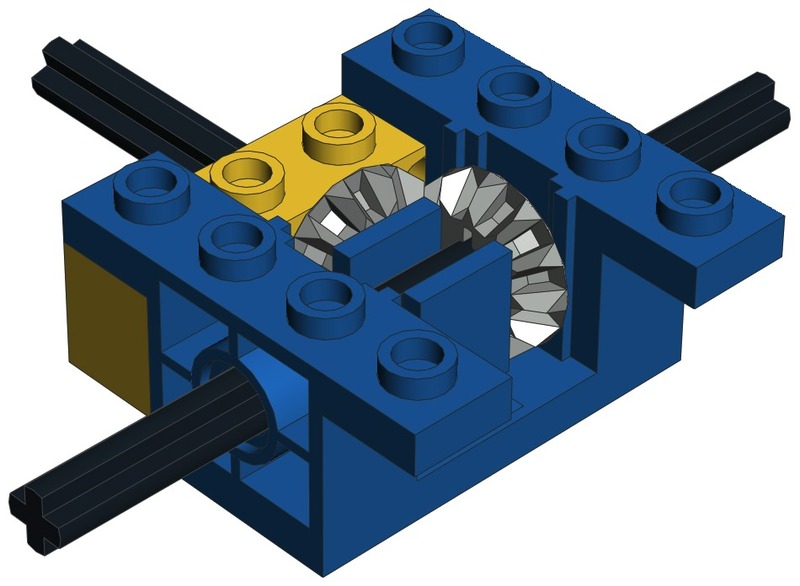 Since the feature needed to connect parts together, the stud, was no longer present, it means the primary means of connection became the pin. This use of the pin (and also axle) as primary connectors drove the part count of studless models much higher than their predecessors. This makes it impossible to compare the sizes of studded and studless models based on part count. In general, studless models have about twice as many parts as their predecessors. Because of the unique construction method, studless models tend to be very durable and can endure a lot of abuse. However, the lack of firm connection in multiple degrees of freedom also means that they tend to be quite flexible, especially in torsion. 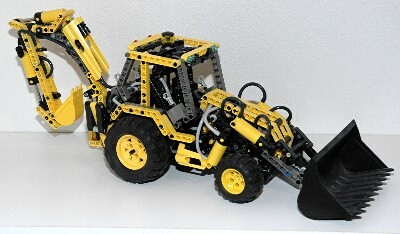 The largest model, the 8455 backhoe, contained the new pneumatic parts and remains the most thoroughly pneumatic set ever released to this day with 10 cylinders. There were also 3 new Mini sets. These were not as small as the older Micro sets, but were still smaller than traditional and were clearly aimed at younger builders, but retained a lot more in the way of function than the Micro sets. Worth noting is that this year saw a completely new Technic packaging design with thick yellow boxes that only lasted one year. The next year saw another totally new design. This year started the idea of color coding common parts like pins and axles. While this made it generally easier to tell the difference between different lengths and types, is also meant that many such parts were now in non-neutral colors which clashed with the color scheme of some models. The main new parts for the year were an updated pneumatic system. 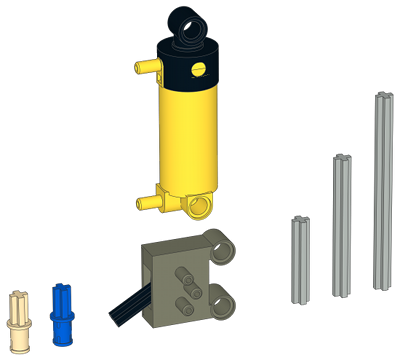 A new system of pneumatics was released this year. The previous generation had completely changed the concept from the original, but this was a more modest evolution. The actuator stayed the same length and size, but the base was changed from 2x2 studded to studless to better align with the studless system. As well, the valve switch was replaced with a functionally identical version that mounted with pins instead of studs. The new switch was always dark gray. 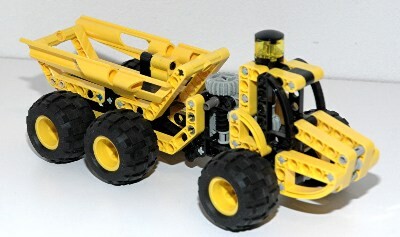 The actuator is almost always yellow, but occasionally transparent in Education sets. This year saw the introduction of color coding of common parts. 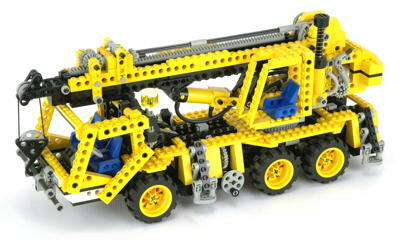 The original Technic system included axles in even lengths, always in black. With delineations of 2 studs, it was pretty simple to tell the difference between them visually. Eventually 3L and 5L lengths were added which made things much harder. 5L and 6L were particularly hard to tell apart. With the introduction of a new 7L this year, LEGO® decided to color code all even lengths in black and all odd lengths in light gray. This made it much easier to identify a length visually without resorting to measurement. A new axle pin with friction was also introduced for which color coding was even more important. The old frictionless axle pin was always light gray. The new version would be nearly indistinguishable from the frictionless without a color code, although close inspection would reveal the friction ridges. The frictionless version was changed to tan, and the new version with friction was blue. The blue version caused the most controversy because, as a primary color, it very clearly clashes with the color scheme of some models. A very rare black version of this part exists and is highly prized by builders. 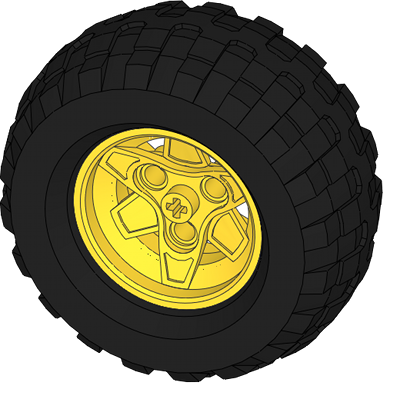 A new 81.6x38 large balloon tire was introduced and used on the rear of the backhoe. 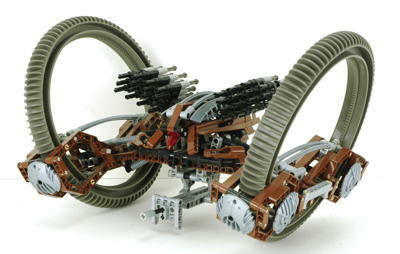 A smaller version of the Technic wheel went with it and remains in use.